HyperX has just added a new SSD to its product lineup, the Savage. The company claims that the Savage is its fastest SATA-based SSD to date with 560MBps and 530MBps of read/write speed. While it’s not as fast as the HyperX Predator – which is a PCIe SSD – these performance figures are still pretty good. System builders who like their rig to be aesthetically pleasing will be happy to know that the HyperX Savage features a red steel and aluminum case. The Savage’s low profile should ensure that it will fit into most laptops and desktops as well. 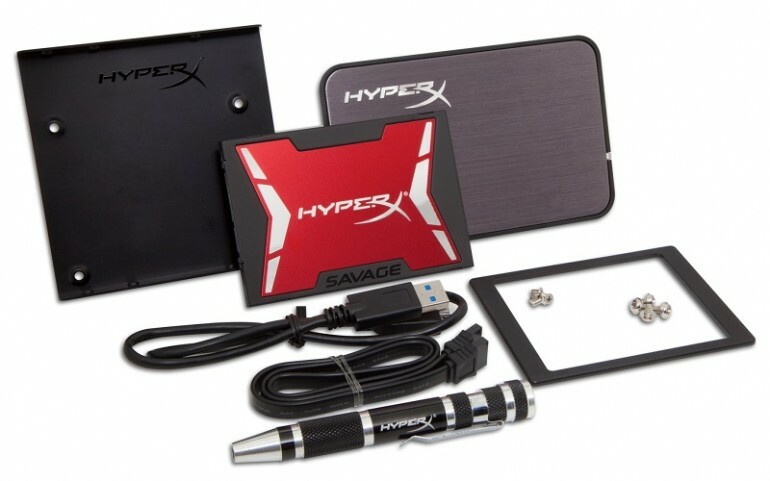 In terms of capacity, the HyperX Savage comes in four sizes: 120GB, 240GB, 480GB, and 960GB. The Savage can be bought as a standalone unit or along with an upgrade bundle kit that includes a 2.5-inch USB 3.0 enclosure, 3.5-inch bracket and mounting screws, SATA data cable, hard drive cloning software, a multi-bit screwdriver and a 7mm to 9.5mm adapter. Unfortunately, the HyperX Savage does not have a retail price set for Malaysia yet. The availability has not been revealed yet as well. In any case, the Savage will come with a three-year warranty along with free technical support. More information can be found on its official product page.